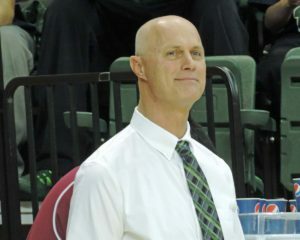 The Green Bay Phoenix women dominated the Wright State Raiders 71-44 on Saturday. The Horizon League Preseason Player of the Year, Kim Demmings of Wright State, was held to three points in a strong defensive performance from the Phoenix women. Green Bay put the game away early, taking a 36-15 lead at the break. The Phoenix outscored Wright State 36-8 in the paint. UW-Green Bay was led in scoring by Sarah Eichler who scored 24 points and pulled down 7 rebounds. Eichler is closing in on 1,000 career points. Yesterday’s performance put here at 924 career points. The Phoenix is now 2-0 in Horizon League play, and hits the road for the next four games. The first of those four is at Cleveland State on Thursday night.